Oh dear dear what a weekend we had in Germany!! We were warming up for two amazing groups and strong female singers; ZAZ and Sophie Hunger. We were touring with a sound engineer Tero “Terttu” Ahnberg (The Rasmus, Chisu, Anssi Kela..) and our new drummer, amazing guy and one of our best friends, Jooel. He´s a all around musician from Helsinki, just travelled Australia for 6 months and is doing his own music and playing for example with one of the most respected young rappers in Finland, Noah Kin and electronic/soul band from Helsinki, Rime. Back to Germany. 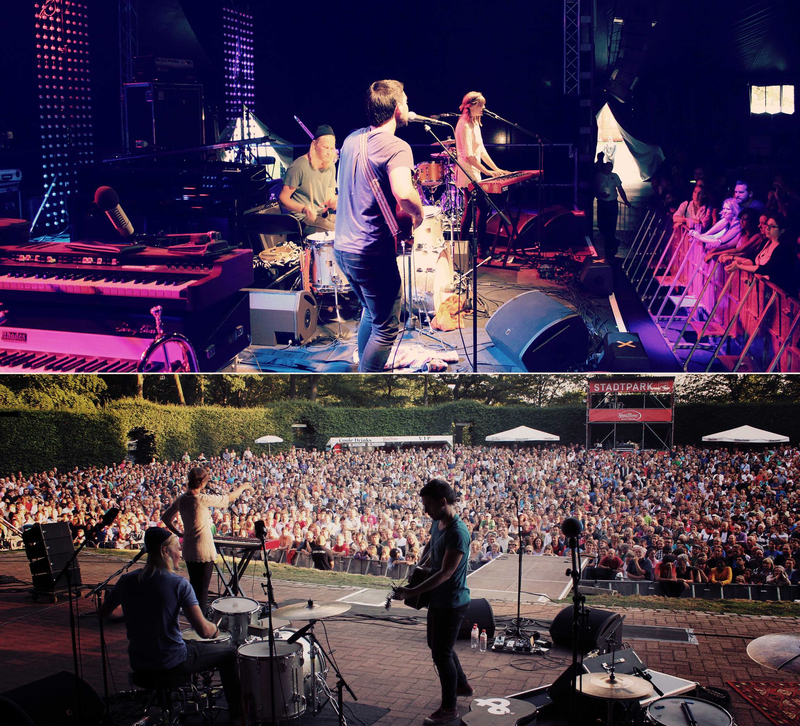 With ZAZ we played at one of the most famous venues in Hamburg, Stadtpark, open air. It was one of our biggest audiences so far, around 5000 standing. We were so happy how warmly the audience welcomed us in! Sometimes it might be challenging to open for someone, as the audience is there obviously for the main act 🙂 Germans have been extremely good to us so far and we are always happy to come down there to play. Next gig is at Neumuenster, Kulturfestival Kunstflecken. The next day, Saturday, we travelled on train to Bonn where we opened for the multi-instrumentalist, singer-songwriter, Sophie Hunger. We played in a big tent at Kunst!Palast. We had met the band once before while opening for them at Huxleys, Berlin, last February. Very lovely people and was superb to get to know them a bit more! 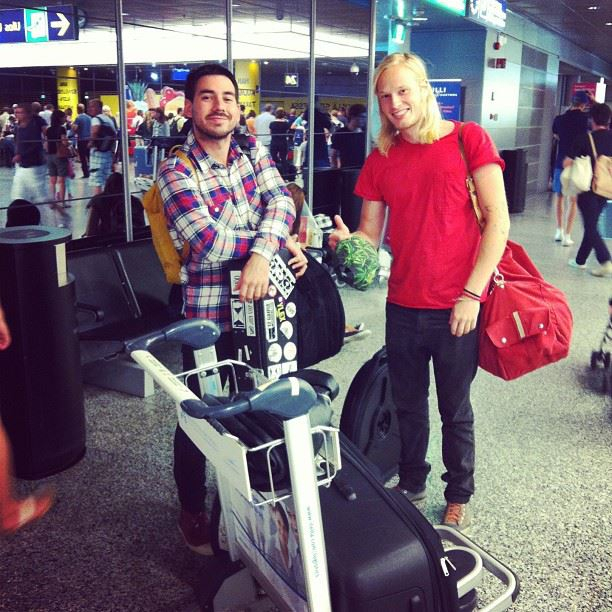 And german people, like we promised, we´ll be back soon!! Thank you for following and stay tuned!